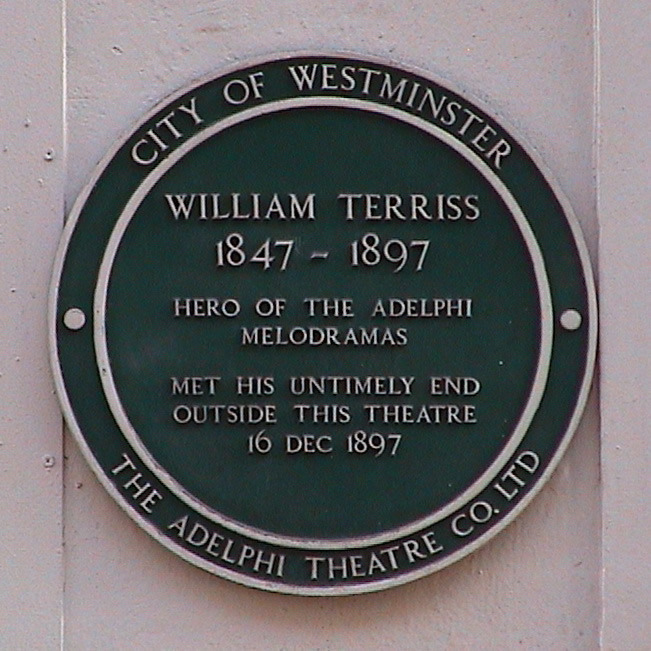 William Terriss, 1847 - 1897, hero of the Adelphi melodramas, met his untimely end outside this theatre, 16 Dec 1897. 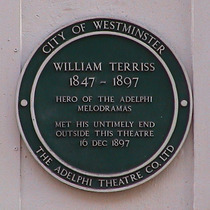 This is the back of the Adelphi Theatre. Alamy have a photo of the unveiling.